I religiously read Refinery 29 everyday and to my excitement our t+j Designs White Pyramid Bracelet is in the email image today in their Wrist Wars Bling Edition article. 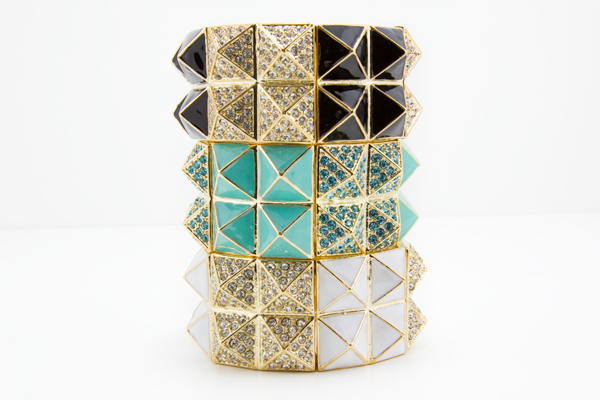 Our t+j Designs Pyramid Bracelet comes in three colors; white, black and light blue. 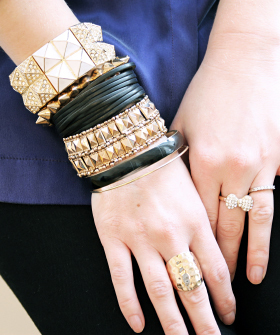 Create your own bling arm party with our bracelets by taking 20% off your total with promo code GIFTS and also receive free shipping for order $50 or more! I love them all but i most of all love the blue one!! So cool!